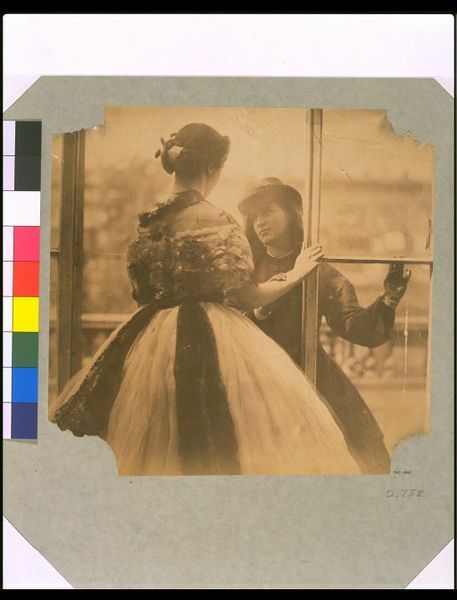 Lady Hawarden was the first female photographer to gain critical recognition in Britain, receiving awards from the Photographic Society of London. Here, she poses her daughters in fancy dress by the windows and on the balcony of the drawing room in her South Kensington home. These subtle and enigmatic photographs are still intriguing and inspiring today. 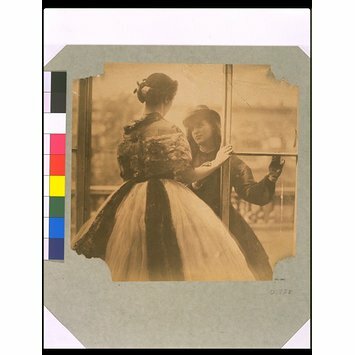 Photograph of two girls looking at each other through French doors on a balcony. 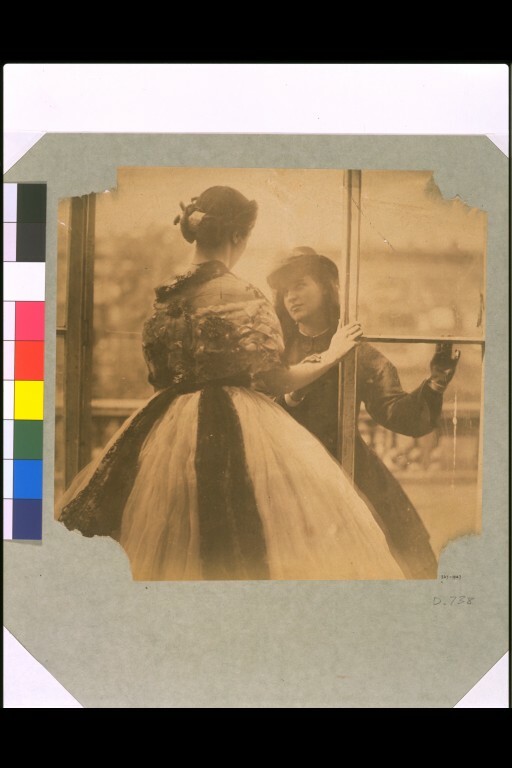 5 Princes Gardens, interior: first floor, rear: French windows: Isabella Grace (three-quarter length; back to camera), in evening dress, standing, looking out over terrace, right hand raised and resting on window-frame, and Clementina, in riding habit, eyes up, standing on terrace facing Isabella Grace, right hand on Isabella Grace's right forearm, left hand raised and resting on window-frame.